Though the growth may be slower, subscriptions are still growing. Cable and satellite subscriptions are slowing due to cost cutting, cord cutting and a still difficult economic climate. 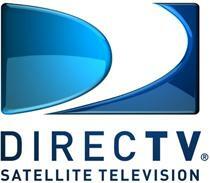 That doesn't mean everyone's losing customers though, and that's something that DirecTV CEO Mike White stresses. "We weren’t down versus a year ago; we just weren’t up 20% [like] we were in the first quarter," says White. That's an important distinction to make, especially in a market where the possibility of losing more customers than you're gaining is a distinct possibility. One of the things that White says is essential moving forward is an expansion of the TV Everywhere. "It’s critically dependent on the distribution relationships," says White. He says that the challenge moving forward with online streaming and similar services lie not with the technical side of thing, but with contracts.